With an estimated 1.6 million people in the U.S. dealing with inflammatory bowel disease (IBD), physicians can have a hard time telling which newly diagnosed patients have a high risk of severe inflammation or what therapies will be most effective. Now researchers report in the journal JCI Insights finding an epigenetic signature in patient cells that appears to predict inflammation risk in a serious type of IBD called Crohn’s disease. Epigenetics is the study of external modifications to DNA and associated proteins that results in genes being switched “on” or “off” in cells. 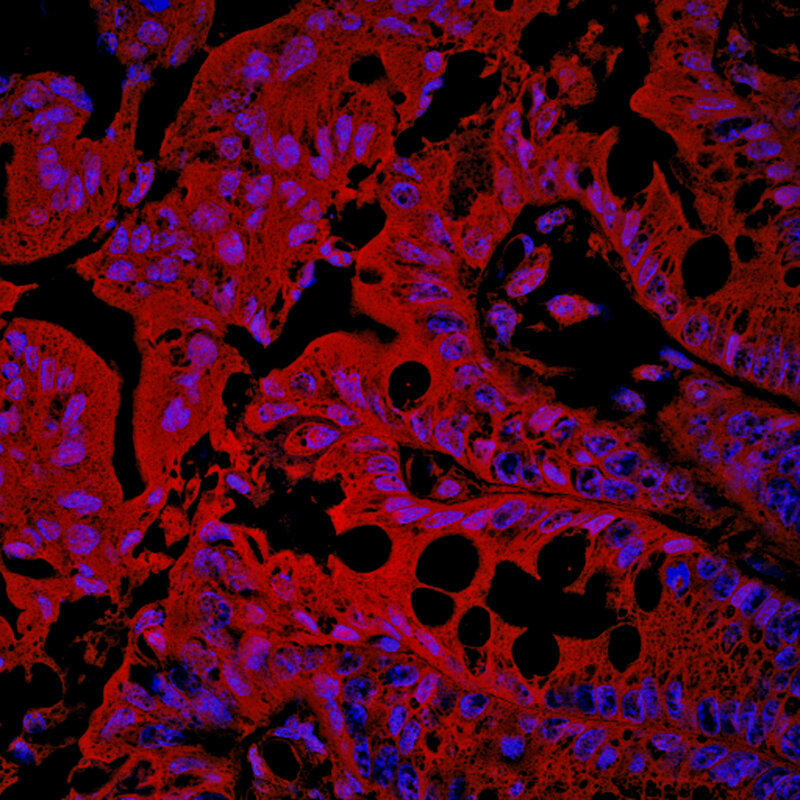 In the case of IBD, inflammation may be primed by microbes in the intestine that trigger epigenetics and make people prone to disease, according to researchers at Cincinnati Children’s Hospital Medical Center. The study was performed in intestinal epithelial cells donated by newly diagnosed IBD patients prior to treatment and in laboratory mouse models. The work provides additional insight about the importance of the body’s microbiota—the collection of all the microbes (bacteria, fungi, and viruses) that live in our intestines. Increasing evidence has shown important links between the intestinal microbiota and chronic inflammatory diseases. The researchers call their data “clinically relevant.” By defining an epigenetic signature in intestinal epithelial cells of newly diagnosed, untreated pediatric IBD patients, the study revealed previously unrecognized pathways that may be altered early in IBD. These pathway could present novel molecular targets for diagnostic evaluation and therapy. Alenghat said additional research is needed to understand more about how these pathways work during the onset of IBD. Future research efforts will involve work in mouse models of IBD, patient samples and human intestinal organoids—miniature human tissues generated in a laboratory using stem cells derived from patient cells. These steps should allow researchers to uncover the different biological processes that drive this epigenetic signature.